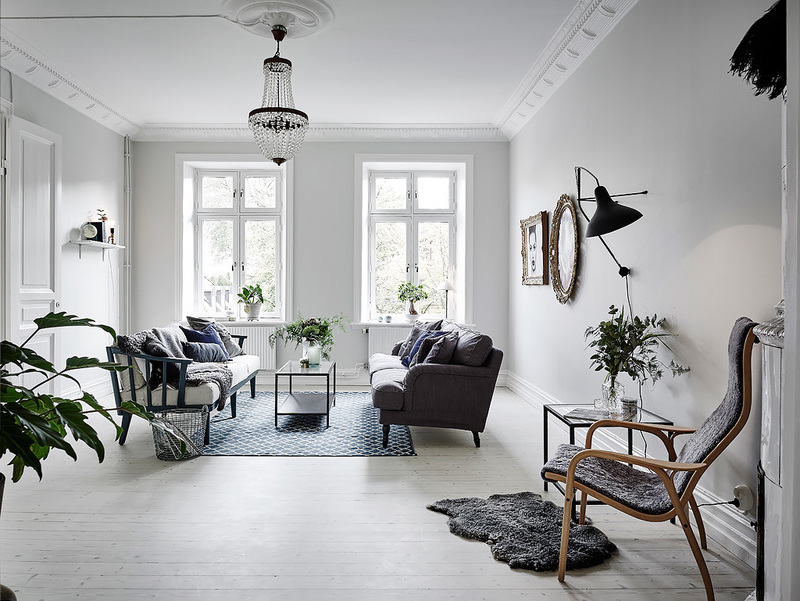 This interior is really beautiful. 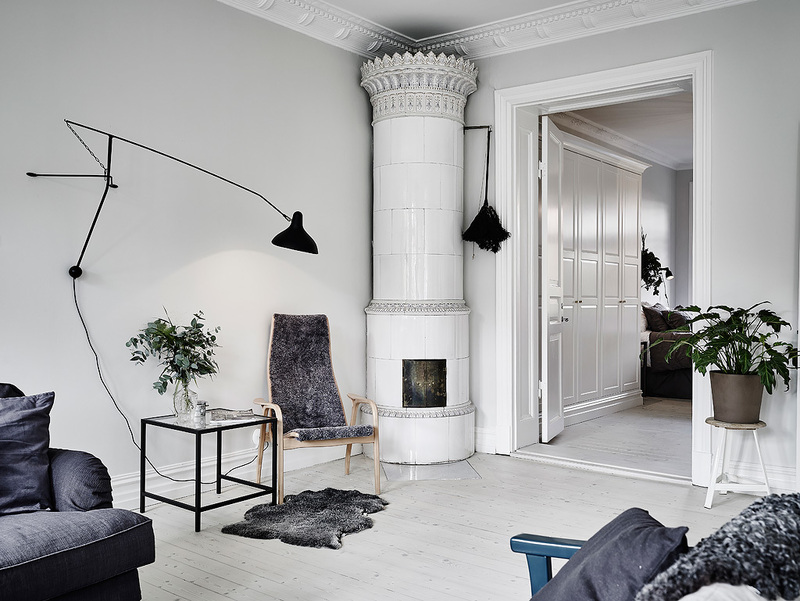 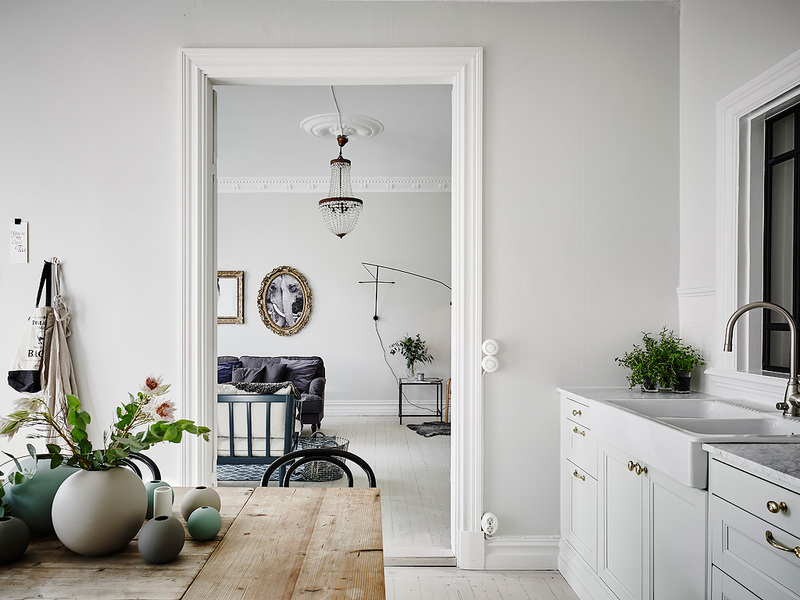 I love the light gray painted walls with all the gold accents around the house. 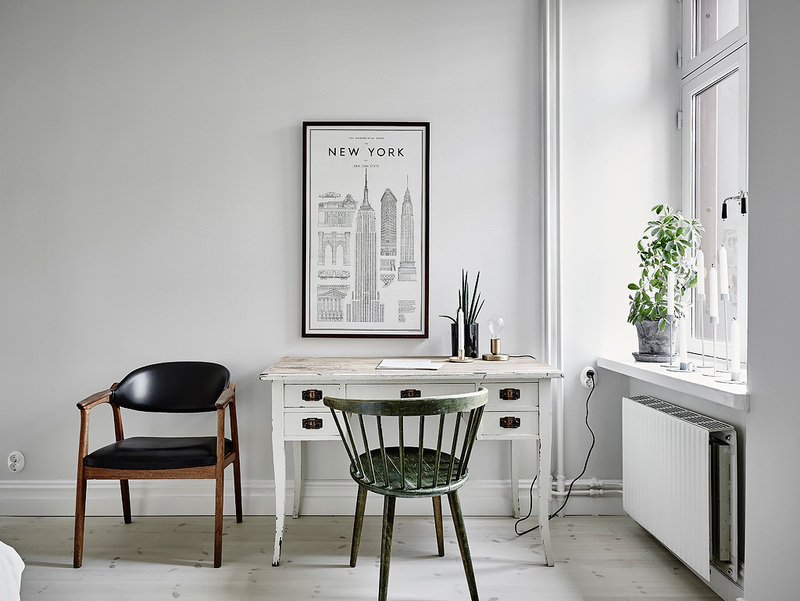 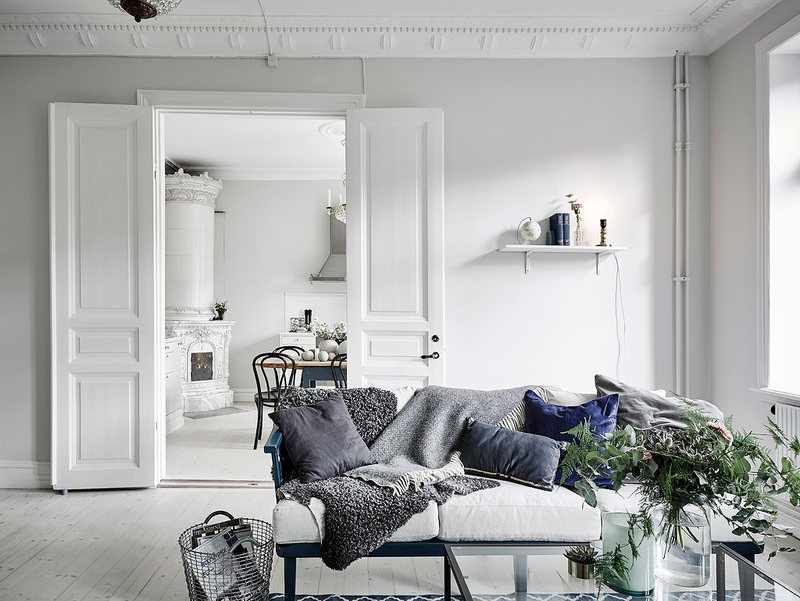 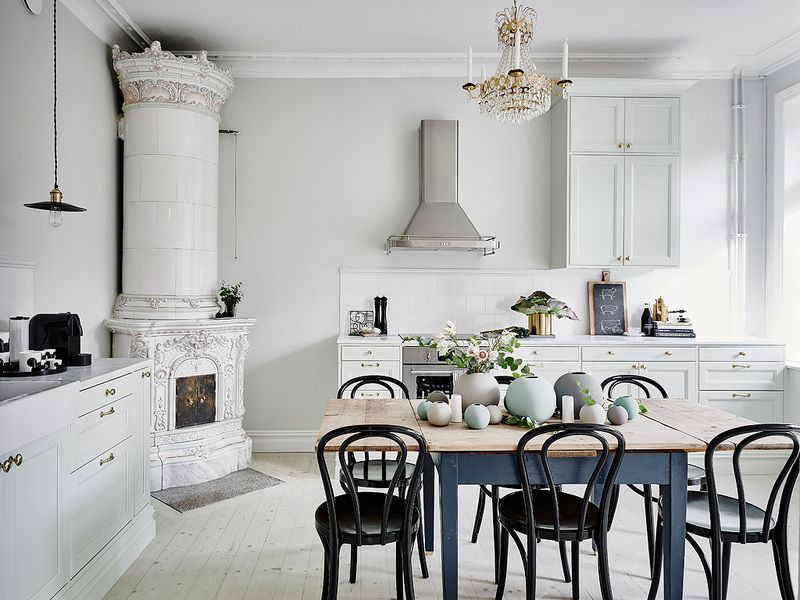 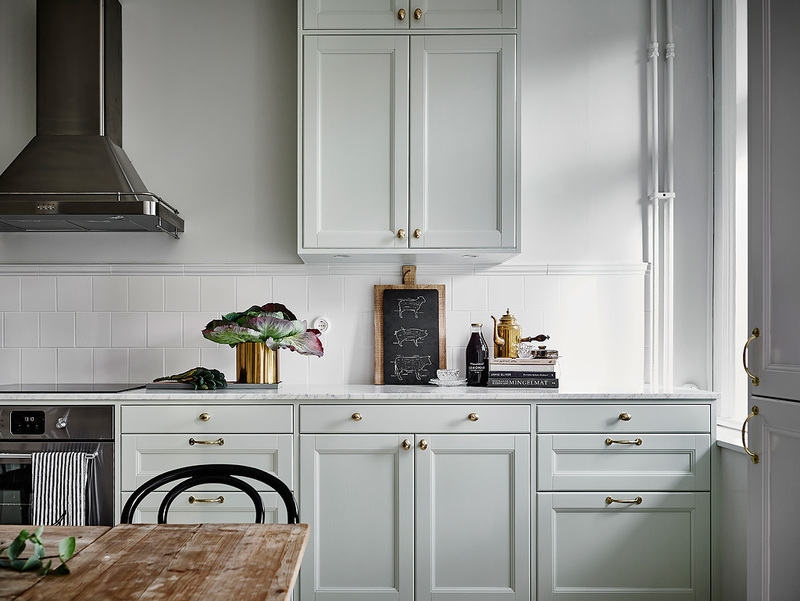 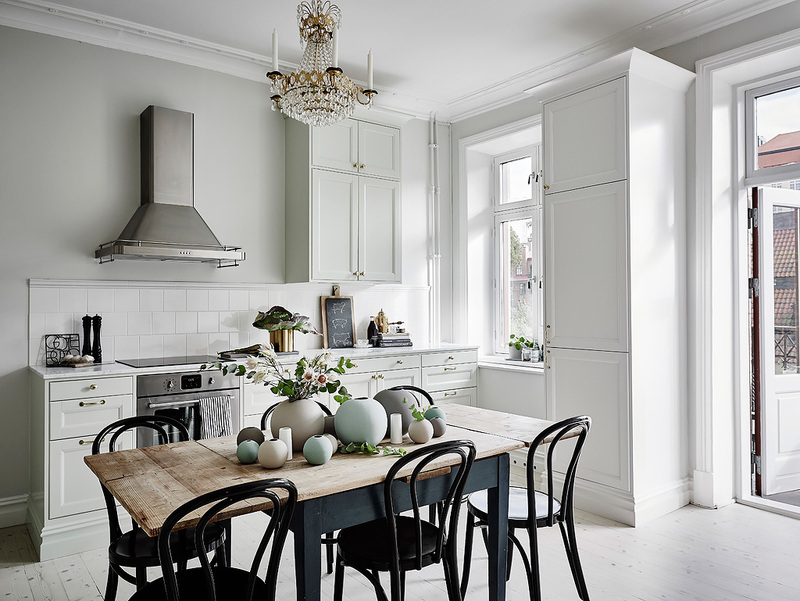 My favorite part is the kitchen which has a charming atmosphere created by the vintage fireplace and overall period look - but is still looking modern and fresh.